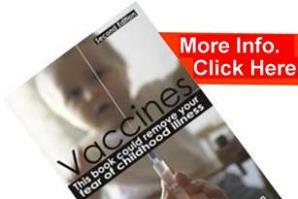 Tetanus Vaccine: What are the real risks of the disease compared to the vaccine? This is an illness that is due to bacterial toxins from the site of a wound affecting the nervous system and therefore, unlike other illnesses, does appear to be more closely related to process of vaccination. The tetanus bacteria themselves (Clostridium tetani) are widespread and can be found in soil, dust, manure, rust and even in the digestive tract of people. However the issues are the same as other illnesses, firstly the symptoms of tetanus, paralysis and rigidity, are due to poisoning of the nervous system, often the first signs are in the jaw, hence the term lock-jaw. This nerve poisoning is in fact the end result of a disease process that can easily be avoided once we are clear about the causes. If a wound contains enough material for bacteria to live on and is covered with no access to air, then the bacteria will grow without oxygen (anaerobically) this could give rise to the bacterial toxin that could lead to blood poisoning. Therefore shallow cuts and grazes do not pose such a problem and therefore in deeper injuries the first preventative is wound cleaning; this does not require topical antibacterial treatments as the presence of bacteria are not a problem, so long as the debris on which they live is removed. Thus wound cleansing has been recommended in Accident and Emergency departments utilizing tap water only, the Drugs and Therapeutics Bulletin of 25 November 1991 states that antibacterial applications actually slow wound healing making the situation worse, therefore tap water is recommended even in the A & E departments of hospitals. Cases and mortality are higher in developing countries with poor hygienic conditions, here tetanus is significantly higher in newborns, most case are caused by using dirty, rusty scissors when cutting the umbilical cord at birth in families that are poor and mal-nourished. Consequently these cases cannot be protected from vaccines since the vaccine is not given on the day of birth and cannot be effective in reducing the incidence of such conditions, therefore vaccines that are said to reduce tetanus in developing countries will actually have no impact on the majority of childhood tetanus cases. If therefore a deep wound was not cleaned, there were sufficient bacteria and debris, the wound was covered allowing in no oxygen and the patient was unable to exhibit a successful inflammatory response, then a blood poisoning would develop with concomitant symptoms. Even this can be treated, the wound can be surgically cleaned, the bacteria are sensitive to penicillin and there are many alternative treatments for this as well as effective nutritional advice that will help alleviate the problem. In such instances hospitals also use an antiserum sometimes called a passive vaccine containing antibodies to the toxin that are supposed to alert your own white blood cells to the tetanus toxin within the blood and lymphatic system. But the body will still have the job of eliminating this poison from the system, there is also no guarantee that the body will not react to these foreign antibodies in the antiserum thus increasing the immune load as opposed to helping it. If however, a patient had a deep wound, that was covered, and the patient’s immune response was so low that an inflammatory reaction could not deal with the wound, and or the inflammatory symptoms were suppressed and therefore this blood poisoning was not dealt with successfully, then the poison could become invasive and ultimately affect the nervous system. So there are in fact a whole host of reactions and systems that come into play so that toxins from injuries do not become invasive and affect the nerves, this is actually what the body is designed to do, and continually does so from the moment of birth. The risk of this illness is more or less zero in the developed world, unless the individual is already immune compromised and likely to live in a situation where their injuries do not get basic care. The medical portrayal of tetanus gives the impression that the neurological consequences are likely, in anyone, are immediate and severe from the smallest of cuts. 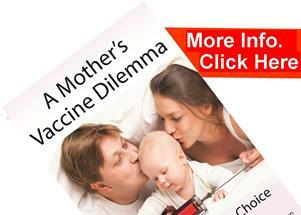 But the question still remains; will the vaccine help? Once again we are back to the main problems of all vaccines, the vaccine does not promote a full immune response, and should there be any reaction to the vaccine, i.e. inflammatory symptoms in response to the toxic burden of the vaccine contents, these symptoms will usually be suppressed by the very medical profession that administers the vaccine. The vaccine contents poison the system directly in the blood and therefore remain in the system adding to the immune burden in the short-term with possible long-term effects. What are the potential side effects of the tetanus vaccine? Other researchers have similarly found that high levels of antibodies to the contents of the vaccine do not protect against the toxins in the actual disease, Crone and Reder published research in ‘Neurology’ (1992; 42:761-4) describe a patient, in which the immunity to tetanus toxoid (in the vaccine) was not paralleled by immunity to tetanus neurotoxin (produced during the disease). The overwhelming amount of literature on tetanus toxoid vaccine adverse side-effects and the severity of those complications make it absolutely impossible to ridicule them as rare and benign. Doing so could only demonstrate a profound lack of knowledge of the literature concerned. Cunningham, Brindle and others insist on having adrenalin readily available when tetanus toxoid is administered, thus admitting that the vaccination is in fact a life-threatening medical intervention, even in apparently healthy individuals. This speaks for itself. Risking one’s life by an intervention which is probably ineffective, to avoid a disease which will probably never occur is not sound medical practice. All it takes, on a world scale, to avoid the majority of tetanus cases is clean scissors to cut the newborn’s umbilical cord. Information, soap and peroxide might do a far better job than tetanus vaccine. As such the tetanus issue runs a parallel to all invasive consequences of any so-called infectious disease. All illnesses can become invasive, whether from the lungs, skin, digestive tract, or injuries etc, whatever the point of entry, the issue is the same, if the invasive toxins are not dealt with, then the consequences may eventually affect the nervous system and could lead to the death of the patient, this makes tetanus no different to any other infectious illness, whether it is measles, mumps, flu or polio, the vaccines, rather than help, add to the immune burden. It is interesting to note that health authorities also recommend booster vaccines every 5-10 years because the so-called immunity wears off and currently in the UK within the National Health Service it is only possible to have a tetanus booster as a combination vaccine that would also containing diphtheria and polio, which raises the question; is there a biological justification for this or a commercial one? The only case of tetanus the author has ever treated was in a lady that developed symptoms of tetanus after having been given the tetanus vaccine. Interestingly this lady had been given a tetanus vaccine for an injury where the bruising had not broken the skin and where there was of course, no natural risk of tetanus.